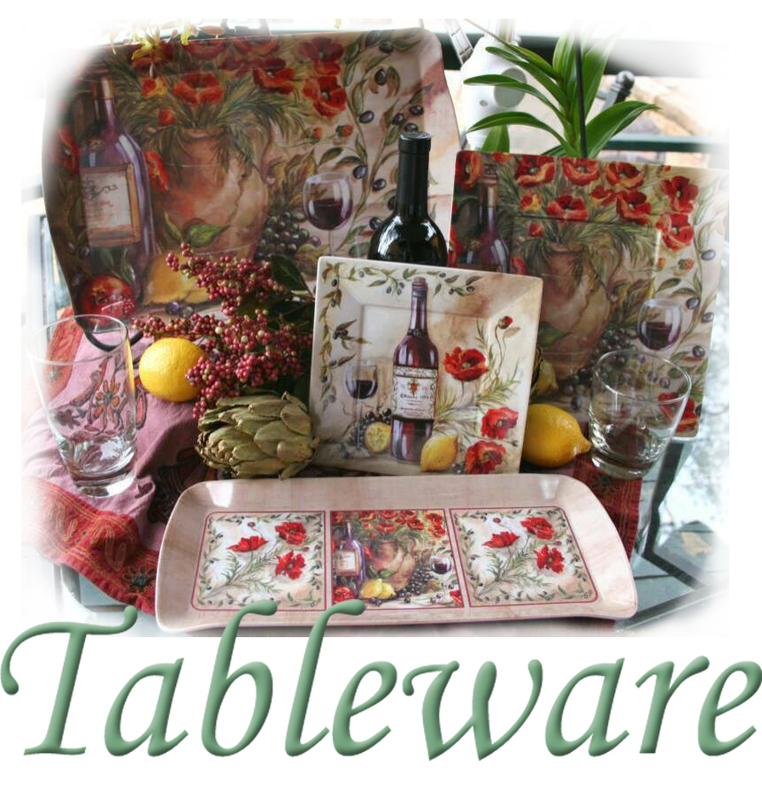 We offer many different kinds of Tableware, Casual Dining, Hand-Painted Glassware, Hand-Painted Ceramics, and Serving Trays. Many of our tableware designs compliment our kitchen accessories. 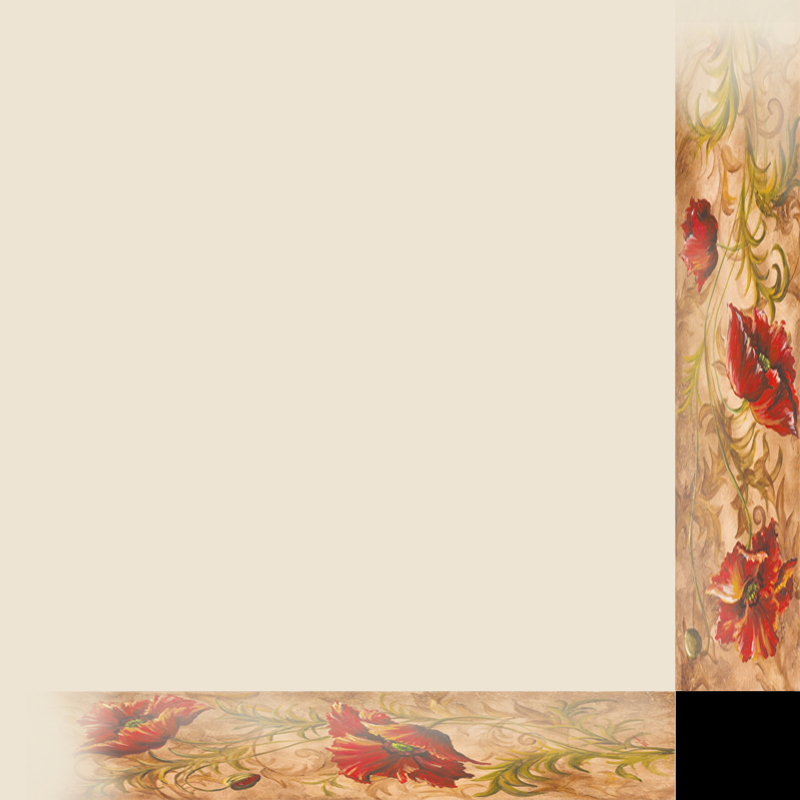 Be sure to check out our "Tuscan Poppy" collection, offerered both on textiles and tableware. 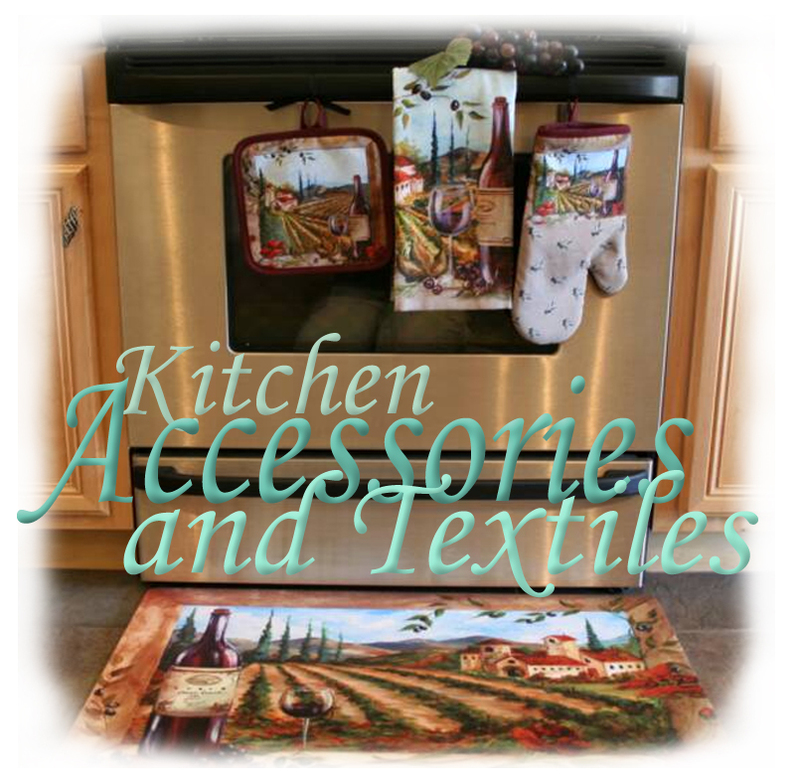 We now offer a variety of our designs on kitchen towels, oven mitts, pot holders, placemats, coasters, rugs, trivets, spoon rests, range covers, and more. 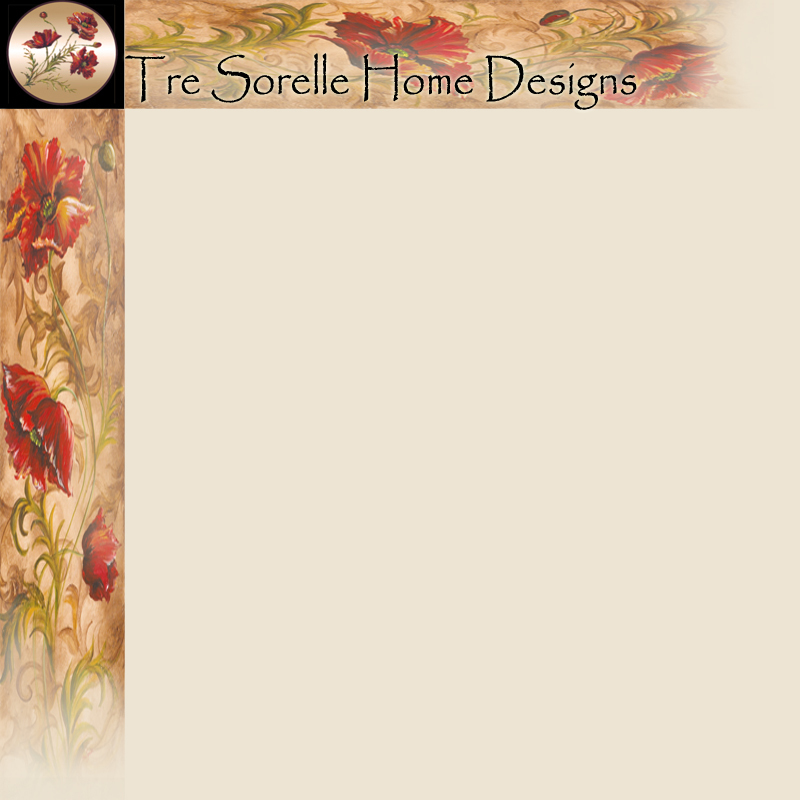 New Tre Sorelle designs are always in the works. Please Check Out our Items available online! Manufactured by Tweel Home Furnishings' "The Artist's Kitchen"